Want to eat like a tennis player? QuickStart Tennis of Central Virginia's Grow Veggies for QuickStart! Initiative is a program to get kids who participate in QuickStart programs to design, plant and tend vegetable, fruit and herb gardens at schools. Research suggests that not only does caring for a garden get children outdoors and physically active, but also that they are more likely to consume fruits and vegetables they grow. QuickStart Tennis already has kids outdoors, being active and thinking about healthy eating with Go Bananas for QuickStart!, so hands-on planting and tending a garden is a natural. The aim of Grow Veggies! is to link the healthy eating theme of Go Bananas for QuickStart! with growing healthy foods locally and eating locally grown foods. We are partnering with community members in our Service Area -- Master Gardeners, agriculture and horticulture programs at high schools and community colleges, landscapers, parents, adult tennis players and other community volunteers to have them serve as mentors for QuickStart Tennis gardens at schools to reinforce the Go Bananas! message. 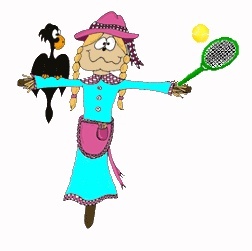 Combining tennis and an hands-on growing experience for kids in a positive and FUN way -- what a great idea! QCV received a grant from the Junior League of Charlottesville that made it possible to plant tennis gardens at five schools during the 2010/2011 school year. For 2011/2012, QCV focused on assisting Henley Middle School in raising funds for the Hornets N.E.S.T.. Over $20,000 was raised thanks to the generosity of the Prana Fund and the Bama Works Fund of the Dave Matthews Band. THANK YOU! In 2012/2013, QCV worked with Buckingham Primary's Green Thumb project thanks to a grant from USTA Serves, the national charitable organization of the USTA. In 2013/2014, QCV worked with Veggie Village at Yancey Elementary School, Scottsville Elementary School and the Fuqua School in Prince Edward County. 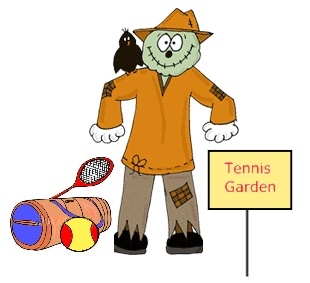 For the 2015/2016 school year, QCV plans to help two schools create or improve their "tennis gardens." 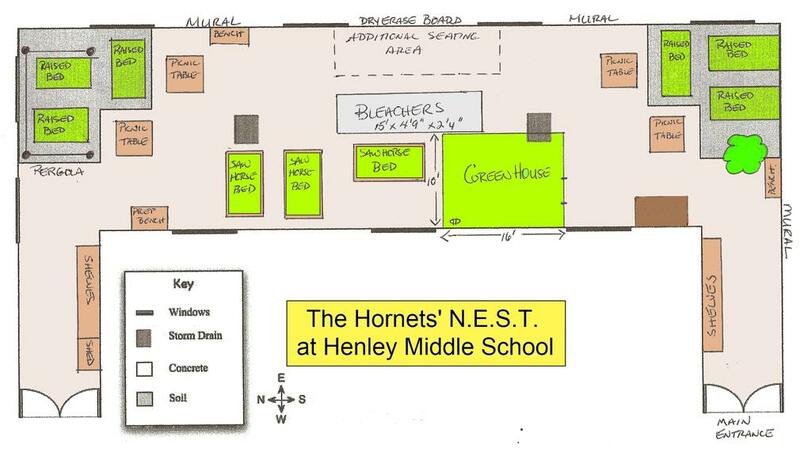 QCV's partnership with Henley Middle School in Crozet helped make their vision for the Hornets N.E.S.T., an edible garden with a greenhouse, art studio and outdoor classroom, a reality. QCV made a $500 Grow Veggies! contribution to kick off the project and assisted in the design of the N.E.S.T. and writing of the grants. The project is complete. Click here. QCV's third Grow Veggies! 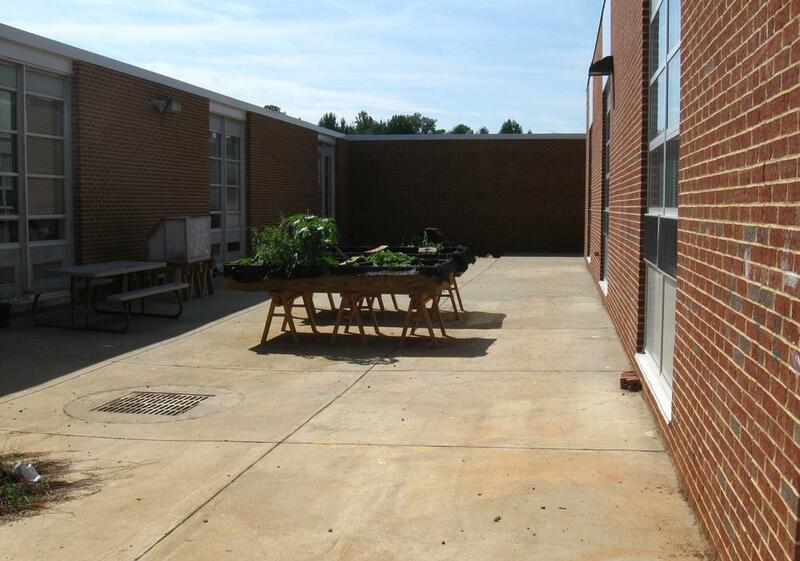 project at Greer Elementary School has been completed thanks to volunteers from the Piedmont Landscape Association (PLA). There was a complete redesign and rehab of the existing beds and transformation into a QuickStart "Tennis Garden" with raised beds, fresh soil and an ingenious "hoop" system to protect the seedlings from cold weather and maturing plants from deer. A Grow Veggies! Day at Greer was held in March 2011. Many thanks to Heather Taylor of Watkins Landscaping who presented the project to the PLA Board on our behalf and Jessica Primm, PLA Board member, who organized and ran the clean up effort and designed the hoop system. Funding for this project was made possible by a grant to QCV from the Junior League of Charlottesville and a matching donation from the Greer PTO. Thanks to everyone who made this wonderful project a wonderful experience! And a special thanks to Chris Stover from the Newsplex for coming out to give us some media coverage -- Greer Elementary Plants the Seeds of Healthy Eating. A Grow Veggies for QuickStart! Clean Up Day was held at Crozet Elementary on September 23, 2011. Read all about it HERE! Amber Carpon is spearheading the effort at Stony Point Elementary. She reported "The fan in the greenhouse broke earlier in the year and we lost our first round seedlings, so we were a little behind in the growing season. However, all of the 4th graders were still able to grow lettuce and/or tomato plants. We just weren't able to harvest the tomatoes before the school year was out. All of the kids took a tomato plant home to grow in their own garden/container over the summer. They, and their parents, were also encouraged to come over the summer to pick the tomatoes that we planted in the school garden (which are doing fabulously!)." "We had a 'salad party' at lunch during the last week of school where all of the 4th graders, their teachers and several parents enjoyed lettuces grown by the kids. I've never seen kids so enthusiastic about eating salad. It was great! They were so proud of what they had grown, and amazed that they had taken a tiny lettuce seed and turned it into their lunch. We also made salad dressing using the herbs that one of the 2nd grade classes had grown." "The other 2nd grade class grew strawberries. They didn't harvest many this year, but learned about the parts of the plant, sketched the growing plants every week, and learned about pests (we had some slugs and caterpillars). Instead of being disappointed, they took this as a 'gardening experiment.' It's all just part of learning to grow your own food. All of the 2nd graders also started either pumpkin or watermelon seeds in the greenhouse and took their plants home to grow at the end of the school year. "We cannot thank you all enough for funding this experience for these kids. We've already started making arrangements with some of the teachers to do some fall plantings and the kids were talking about things they could grow next year." WANT TO HELP? The schools need volunteers to . . .
TENNIS + SCHOOL GARDENS = GROW VEGGIES FOR QUICKSTART!